At the beginning of February Dubrovnik is all in Feast of St. Blaise (Sv. Vlaho). 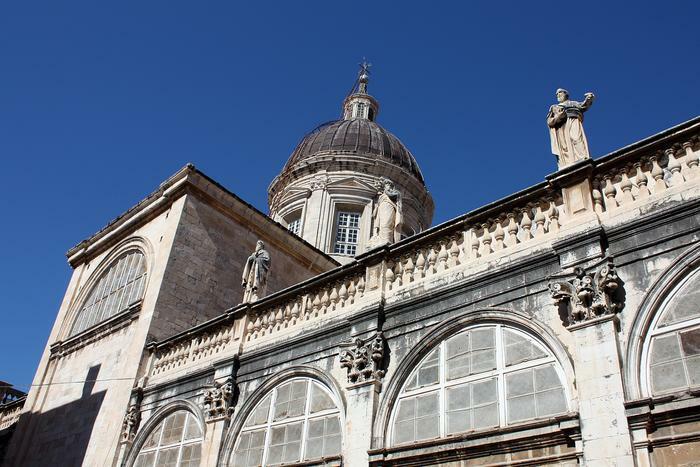 This patron saint has been worshiped in Dubrovnik since 10th century when, according to a legend, he defended the town from Venetians who tried to seize it. People of Dubrovnik have been showing their gratitude till this day by cherishing the tradition of celebrating St. Blaise day. Some of the most attractive customs practiced on that day that can be seen are the release of doves, skillful waiving of the banners in the streets and throat blessing done with a candle . Thanks to them, Dubrovnik and the Feast have been put on UNESCO Intangible Heritage List. On the St Blaise feast eve, there are many religious and folk events taking place in town. Dubrovnik will mark the whole week with festive spirit and put a smile on face of everyone who decided to visit this Mediterranean pearl in winter.